From 1965 gantry cranes has been a standard for our Open Hatch vessels. In 1996 we also introduced jib cranes on some of our vessels. Our fleet now holds a perfect mix of the two crane types, securing flexibility and quality regardless of cargo. Our story with gantry crane vessels started in 1965, when Star’s MS FJELLANGER was fitted with Munchloader gantry cranes. Gearbulk had it’s first two newbuildings, Alain LD and Robert LD, delivered with gantry cranes in 1969. Our last generation gantry crane vessels is the K class and 6th Generation class, delivered in 2009 and 2010. 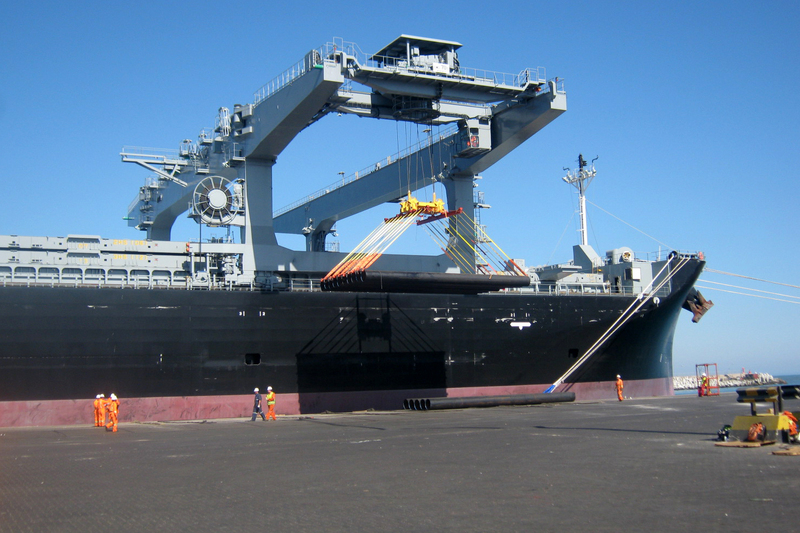 Starting in 1996, we introduced the Fleximax class of vessels to complement our fleet of open hatch gantry crane ships. The first Fleximax generation’s four jib cranes each have a lifting capacity of 36 metric tonnes. At 45 metric tonnes, the lifting capacity of Fleximax III’s jib cranes is 25% greater. The L Class took the lifting capacity even further, lifting 75 metric tonnes per crane. We equipped our first vessel with a gantry crane in 1965, and ever since these have serviced us and our customers to our full satisfaction. Gantry cranes are efficient, and with rain protection between the gantries, these are still setting standards for efficient and safe carriage of unitised, bulk and project cargoes needing special care. Our cranes have a lift capacity from 35 to 70 metric tonnes. Jib Cranes were the “old” way of doing things in our business, but we brought them back in 1996. 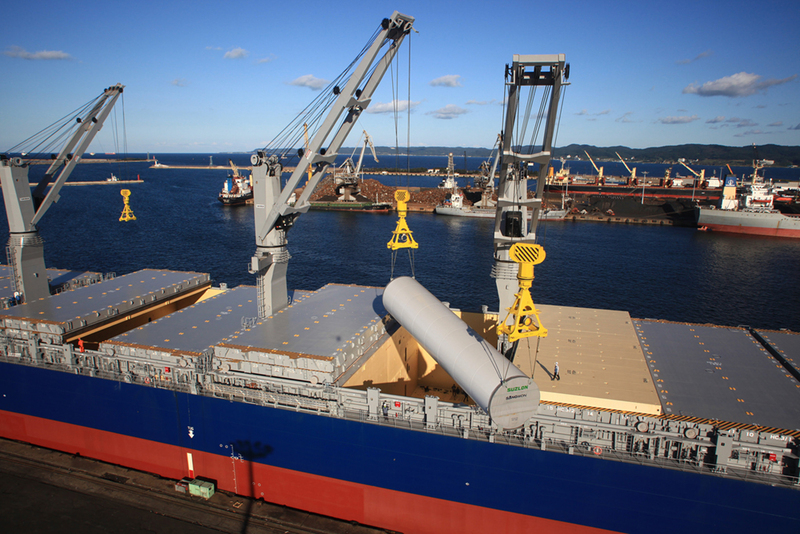 The flexibility and capability to lift in tandem, makes jib cranes the perfect tool for many of the cargoes we ship. The first class with jib cranes, the Fleximax I, has four cranes that each can lift 36 metric tonnes. The four L class cranes can lift up to 75 metric tonnes each, or the double if lifting in tandem. 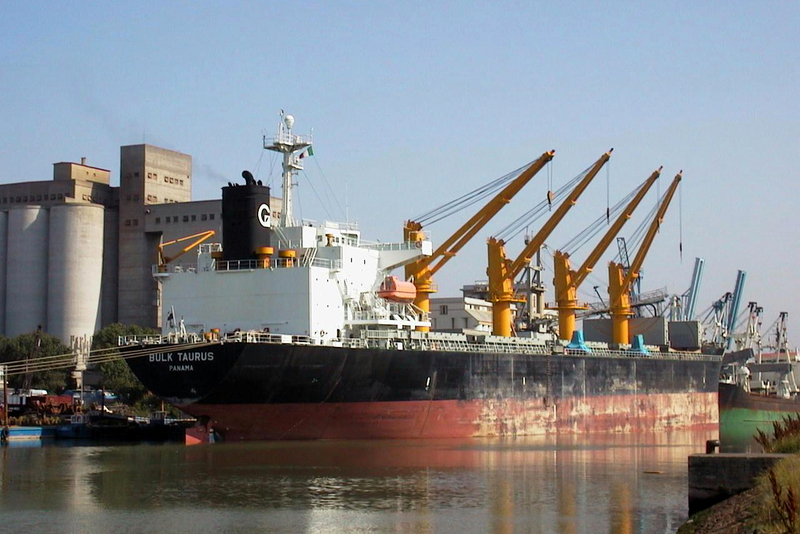 Our conventional bulk department presently own and operates a modern fleet of about 35-40 geared and grab-supplied ships ranging from 25,000 to 63,000 DWT, combining contracts and tramping in the worldwide trade. The jib cranes and grabs ensures safe and efficient operations.